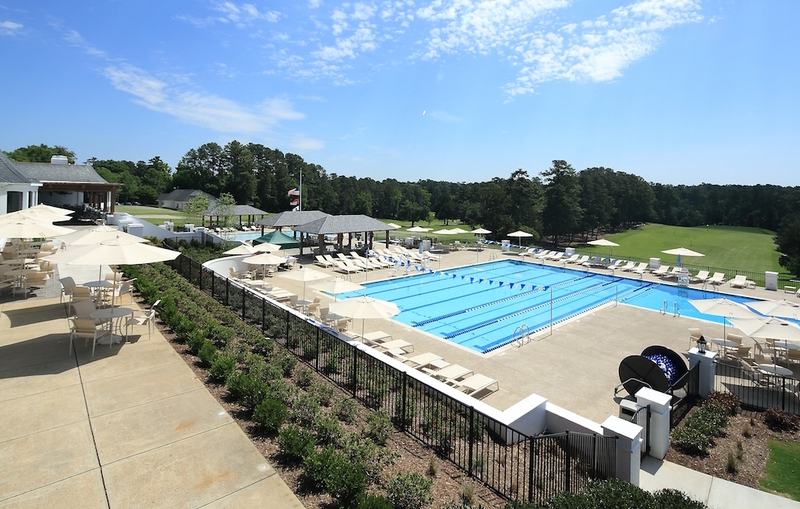 This project consisted of the demolition of all existing aquatic facilities, including the concrete shells of the original pools built in 1926 hidden beneath the current pools. 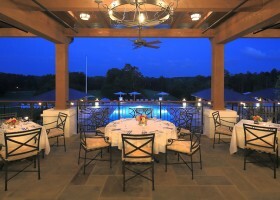 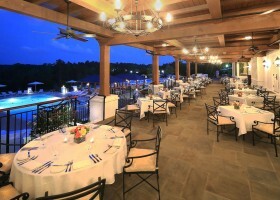 Demolition also included removal and salvage of the flagstone flooring on the exterior dining terrace. The dining terrace was roofed incorporating a Douglas Fir heavy timber framing system with southern pine solid roof decking, copper gutters and downspouts, automatic fire sprinkler system and custom handcrafted light fixtures and chandeliers. 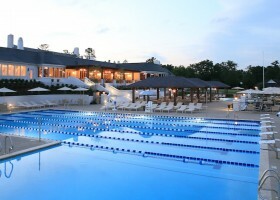 New aquatics consisted of a zero entry children’s pool with bubblers and water jets, a combination six lane competition pool and two board diving pool accompanied by heavy timber cabanas blended with materials to appear like the clubhouse. 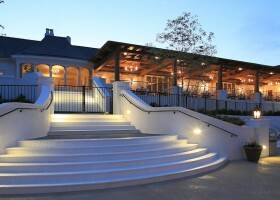 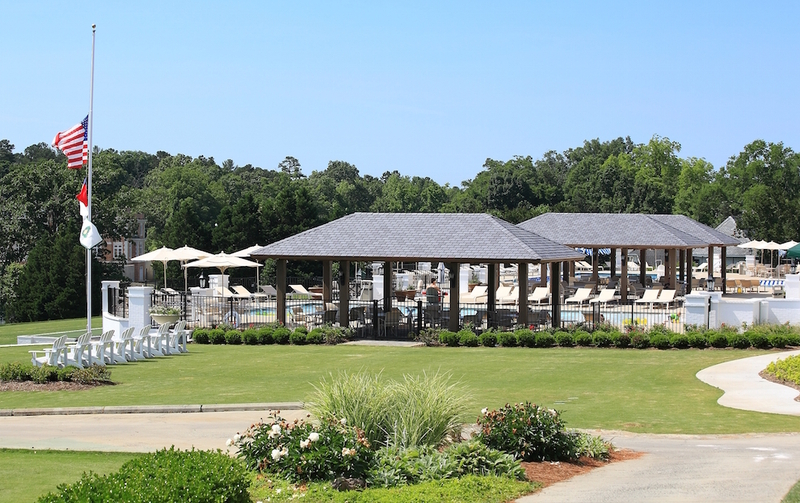 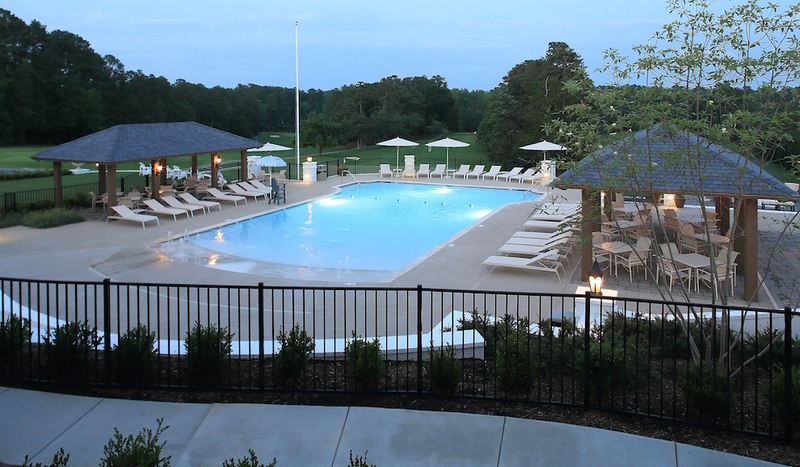 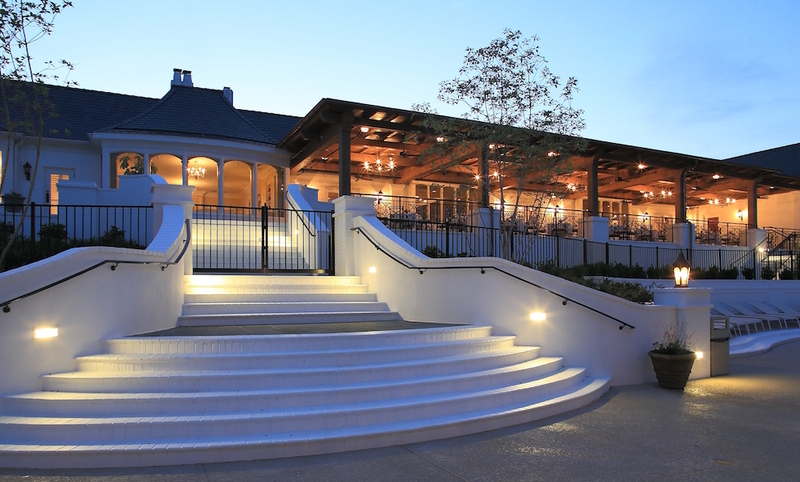 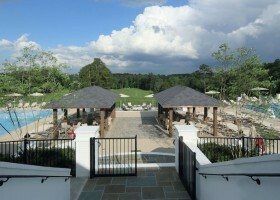 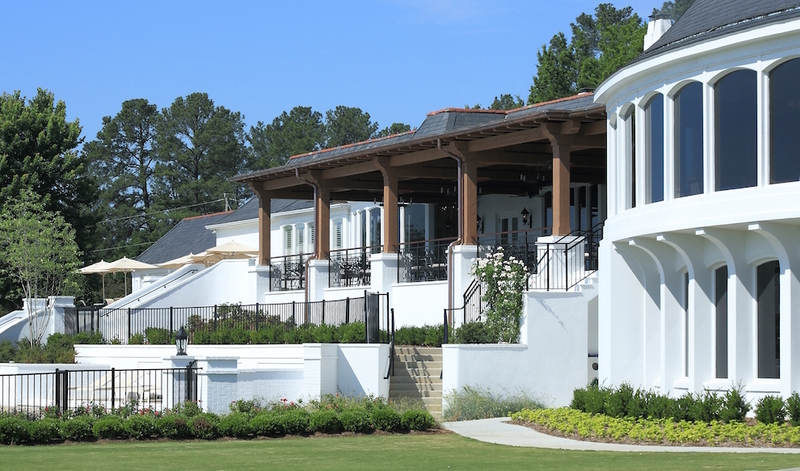 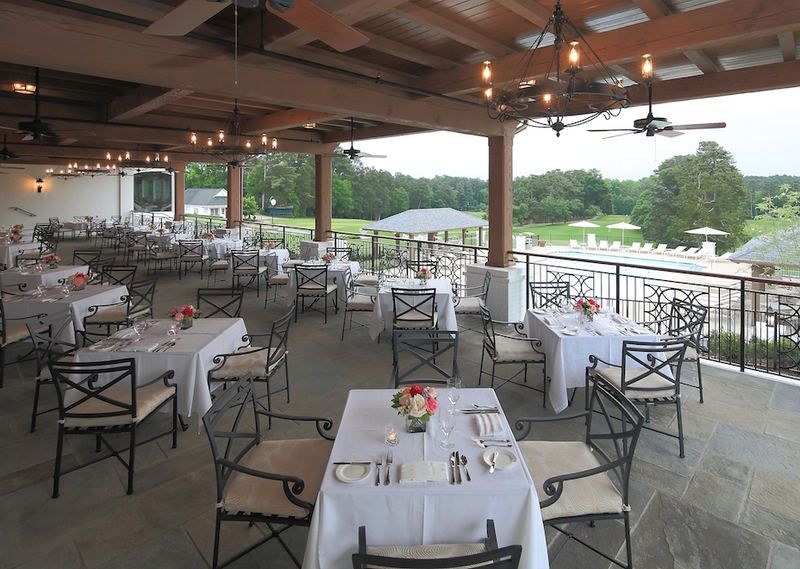 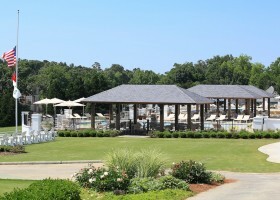 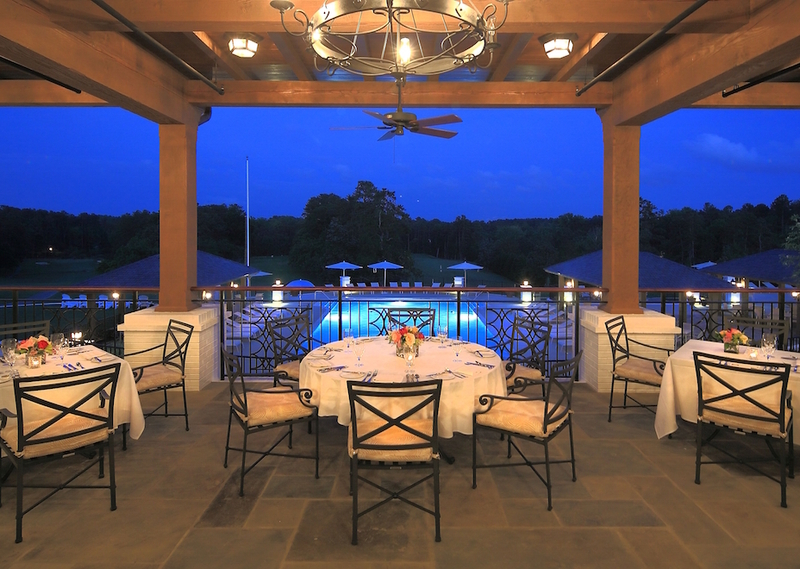 Over 18,000sf of concrete deck was added to the venue as well as a concrete/masonry grand stairway connecting the dining terrace to the pool deck. 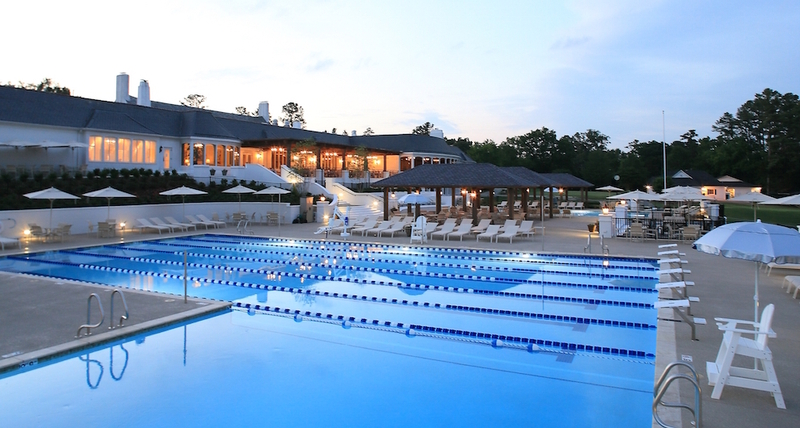 Coordination and scheduling flexibility were required to complete this exterior project during a timeframe that least impacted the membership. 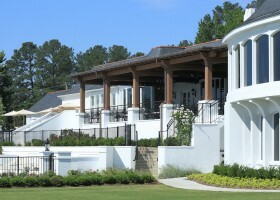 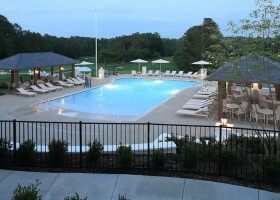 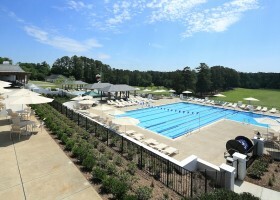 All services offered by the Club remained functional throughout construction.